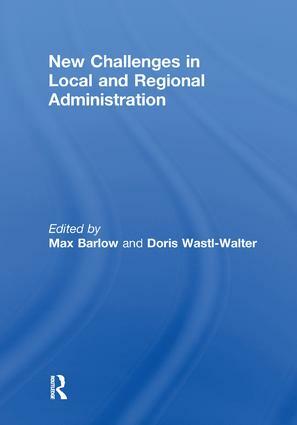 Focusing on democratization, flexibilization, ethnic diversity and restructuring of transitional and emerging states, this volume analyzes the changes and challenges for administrative structures at the beginning of the 21st century, from a geographical perspective. A team of leading scholars from throughout the world provides a differentiated spatial overview of key problems currently faced in public administration. By offering a wide range of regional case studies from Eastern and Western Europe, the Middle East and Africa, the book tests current theories and concepts of government and governance, space and place, and society and community. In doing so, it offers valuable insights and makes policy implications. Public–Private Partnerships and Urban Governance: Towards a New Concept of Local Government?